Coral reef surrounding a lagoon. Slow accumulation of substance from generations of corals was a phenomenon which Darwin used to support they theory of a long geological timescale. 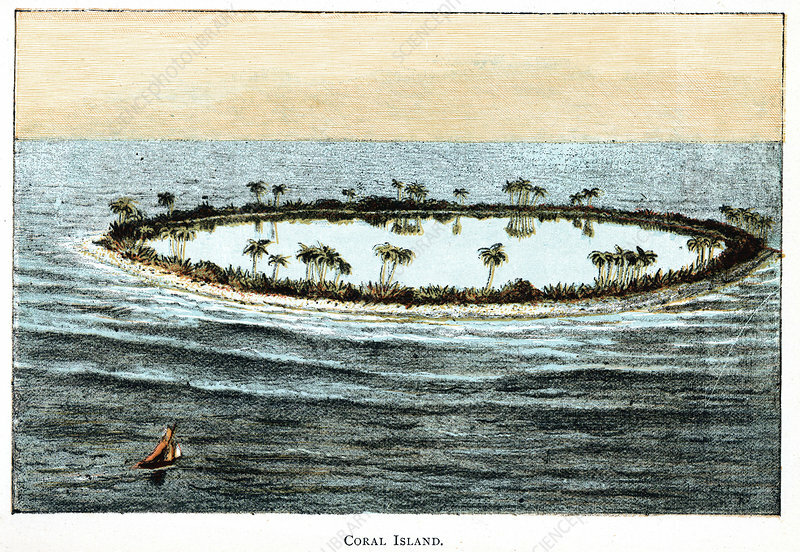 Chromolithograph from popular geology book, 1892.